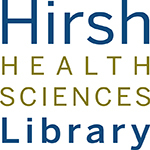 Currently viewing the tag: "sweet talks @ hirsh"
Join us Wednesday, December 2nd at noon in SK516 for our second Sweet Talks @ Hirsh event! We’re excited to welcome Dean Nadeem Karimbux. Bring your lunch and enjoy hearing about Dean Karimbux’s career path, the choices he made along the way, how his field has changed during his career, and advice he has for the next generation of professionals that we are educating here at Tufts—all in a casual, conversational manner with time for a Q&A. Coffee, tea, and dessert will be provided by the library! Sweet Talks @ Hirsh: Enjoy brownies with Dean Berman at 12pm on 10/21! 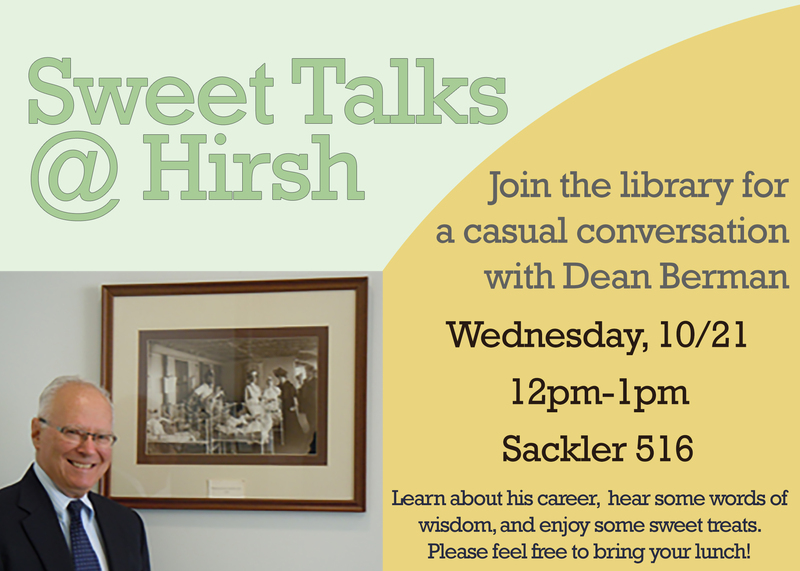 Join us Wednesday, 10/21 at 12pm in Sackler 516 for our inaugural Sweet Talks @ Hirsh event featuring Dean Harris Berman. 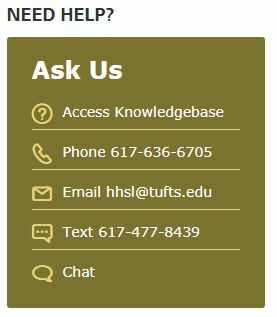 Bring your lunch and enjoy hearing about Dean Berman’s career path, the choices he made along the way, how his field has changed during his career, and advice he has for the next generation of professionals that we are educating here at Tufts–all in a casual, conversational manner with time for a Q&A. Coffee, tea, and dessert will be provided by the library. We hope to see you there!